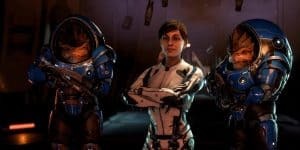 Mass Effect: Andromeda: A Result of the 'Developer Shuffle' | Nerd Much? At this point, it’s kind of hard not to notice just how bad the character animation in Mass Effect: Andromeda is (we’re calling it ‘Facegate‘), in addition to the lackluster world and gameplay. I’ve been playing the Witcher 3 lately, and out of context, it hurts to watch the train wreck in comparison. Thus, I do understand when fans of the Mass Effect series look at the new game and just see a carbon copy of Mass Effect 3 with slightly less detail. However, I don’t think anyone employed at BioWare should be to blame. As it is, BioWare has been through so many changes during the development of Andromeda, it’s a minor miracle the game met its deadline in the first place. You may recall over the past few years, many employees have left BioWare for other game studios, usually outside of EA. 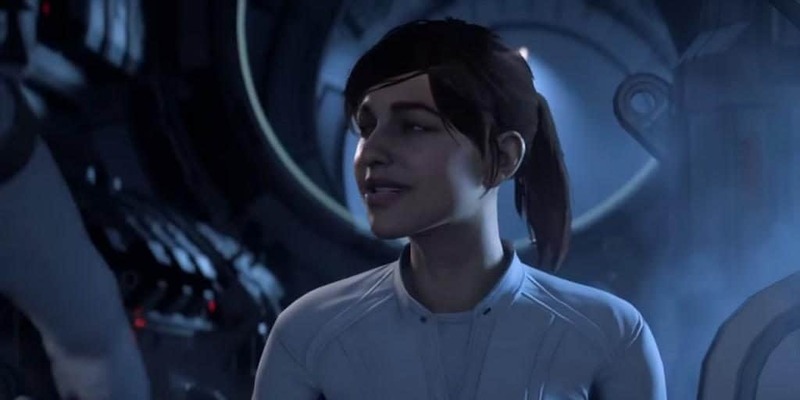 For example, lead writer Chris Schlerf left to work at Bungie in February of 2016; lead animator Jonathan Cooper for Mass Effect 1 and 2 left in 2010 (two years before the release of Mass Effect 3); senior editor Cameron Harris left the entire gaming industry in 2016; and executive producer for Andromeda Casey Hudson left in 2014. And those are just the ones that were formally confirmed by the employee themselves or BioWare. Such a mass exodus, as it were, is unusual in the middle of a game’s development. Usually, what studios do for the larger franchises, like Call of Duty or Assassin’s Creed, is to have about three solid studios to rotate each game with a new studio. This makes it a great deal easier for people to come and go between projects, and for publishers like Ubisoft or Activision to hire new people and train them. I haven’t heard much about people leaving other game studios in comparison to BioWare. When I do, it’s usually the people in question announcing their new indie studio and game they’re working on. As to what EA is doing with BioWare, I’m not entirely sure. It doesn’t seem like the best idea to cultivate a situation (regardless of who or what is at fault) that forces the team leaders to leave in the middle of a game’s development. EA seems to think that team leaders are easily replaceable, and all new ones will have the same ideas and schedules going forward. This simply isn’t true, as it is my experience that no two people are the same in how they work and lead, no matter what their credentials are. However, such a situation causes a great deal of disorganization; one of the worst things that can happen to a game studio. Therefore, you might get a rush job on face animation, and a focus on background animation instead. Or a method of motion capture that might not be the best suited for a large RPG like Mass Effect. And, there are numerous other technical hiccups in the process that could go wrong. Regardless of the reasoning behind it, this kind of shuffling and slow trickle of lead people leaving the studio accumulates to what we see in Andromeda. This is a result of new people coming onto an old IP, having completely different ideas and methods of organization, and doing their best with what they were given. There is no one person to blame here, specifically. BioWare has been through a lot of big changes, and Andromeda is simply the result of an accumulation of problems, with the heart of it all stemming from the developer shuffle.